OVER 500,000 MEMBERS HAVE SAVED TIME AND MONEY! THERE HAS NEVER BEEN A BETTER TIME TO SAVE THAN NOW! You have FREE access to a valuable service - a service committed to Saving You Time And Money! United Buying And Finance Service is a Buying and Finance Referral service that has been saving consumers money for over 40 years. We have negotiated special discounts with Realtors, Mortgage Lenders, Modifiers, New-Used Vehicle Dealers, Retailers, Service Providers, Insurance, Automobile, Homeowner Life Health Insurance and Retirement Accounts. This means you can take advantage of special savings on buying, selling, financing and refinancing homes, automobiles, appliances, carpeting, home entertainment, and other name brand merchandise. Services like our Real Estate Agent Rebate of up to 1%* when you buy a home could add up to thousands of dollars of savings! Click on the link to the product or service that you would like. Fill out the brief referral request form. We will email you information on where to go, whom to see to obtain your United Buying And Finance Service Pricing. Let our mass purchasing power work for you! United Buying And Finance Service IS LIKE HAVING A BEST FRIEND ON THE INSIDE! 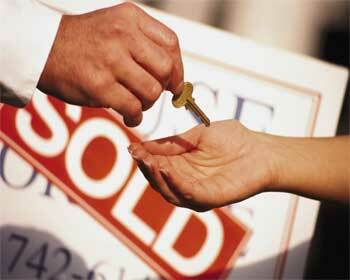 Get Back 1% Of The Sales Price Of Your Home Whenever You Buy Or Sell! Click Here to see what home buying or home selling savings we can offer you. Buying a home? Get a 1%* Member Rebate! Click here to save today. United Buying And Finance Service, All rights reserved. The material on this site may not be reproduced and may not be distributed or otherwise used, except with the prior express permission of United Buying And Finance Service.